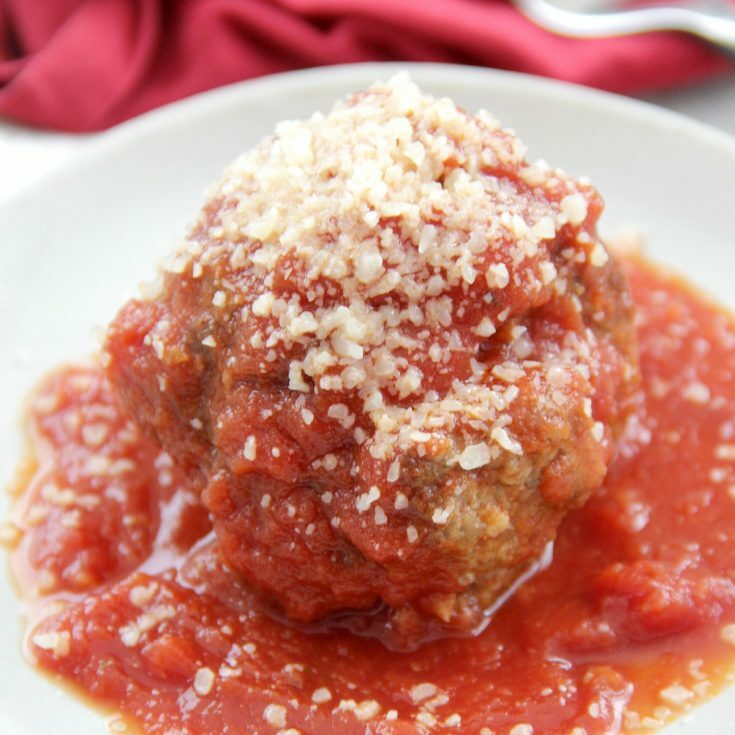 Slow Cooker Mozzarella-Stuffed Meatballs - Eat. Drink. Love. Confession. It’s been a reallllly long time since I last pulled out my slow cooker. I drank the Instant Pot Kool-Aid last summer and I haven’t looked back since. It’s not that I hated my slow cooker, but with working full-time and being so busy, the IP seems to better fit our life during the weekdays. I’ve been feeling a little sad for my slow cooker. And while I love how quickly the IP cooks everything, there is something really comforting about the smell of a delicious meal cooking low and slow on a lazy Sunday afternoon and I’ve missed it! 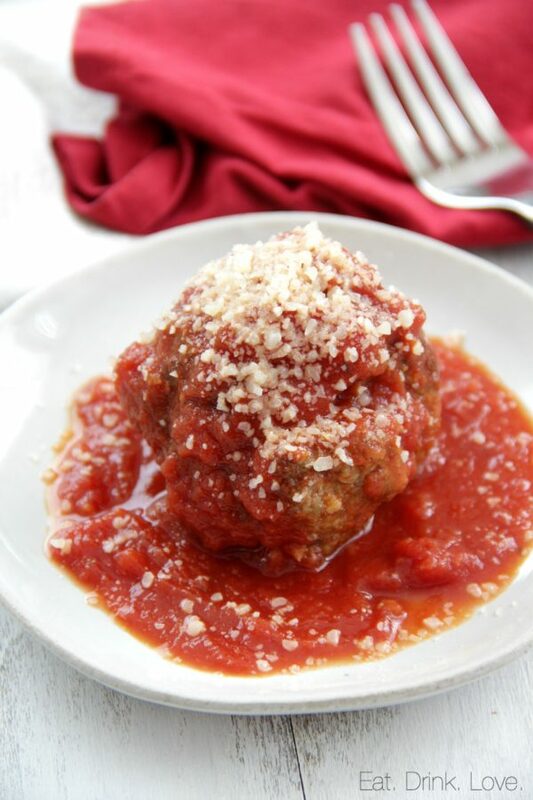 So, I dug it back out last week and made these awesome mozzarella-stuffed meatballs! The recipe is pretty straightforward, just some ground beef, eggs, seasonings, and breadcrumbs. I recommend some good mozzarella cheese to stuff in the middle. I’ve used mozzarella string cheese and it just didn’t seem to stay nice and melted. You may also notice the added step of browning the meatballs. I highly suggest not skipping this step as browning the meatballs helps to lock in so much flavor. One tip I want to share is to avoid overmixing. 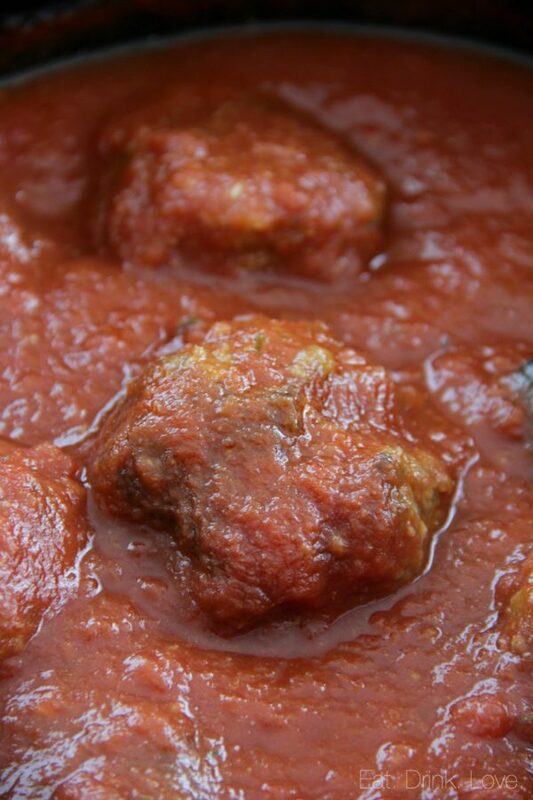 When soaking in sauce for a long time, meatballs can start to break apart easily. So, you don’t need to stir these that much and if you do, do it gently to avoid breaking the meatballs! You can serve these meatballs in a variety of ways too! Serve them with any type of pasta, zoodles, or even in a sub roll! 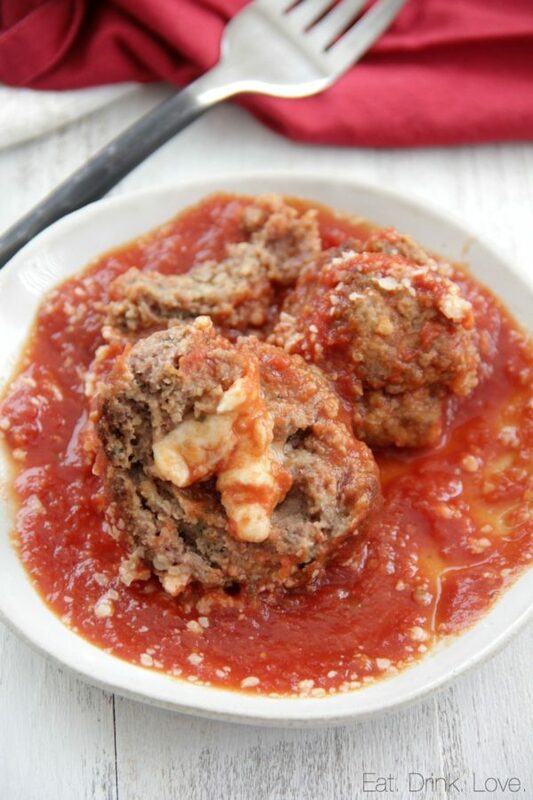 Delicious homemade meatballs stuffed with mozzarella cheese cooked in the slow cooker. 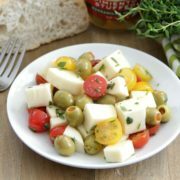 Perfect to serve with any pasta or with salad! 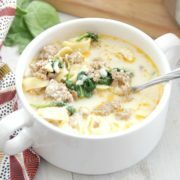 In a large mixing bowl, add the beef, eggs, bread crumbs, Parmesan, garlic, salt, onion powder, and parsley. Mix with clean hands until combined. Take about 2-3 tablespoons of the meat and form into a ball. 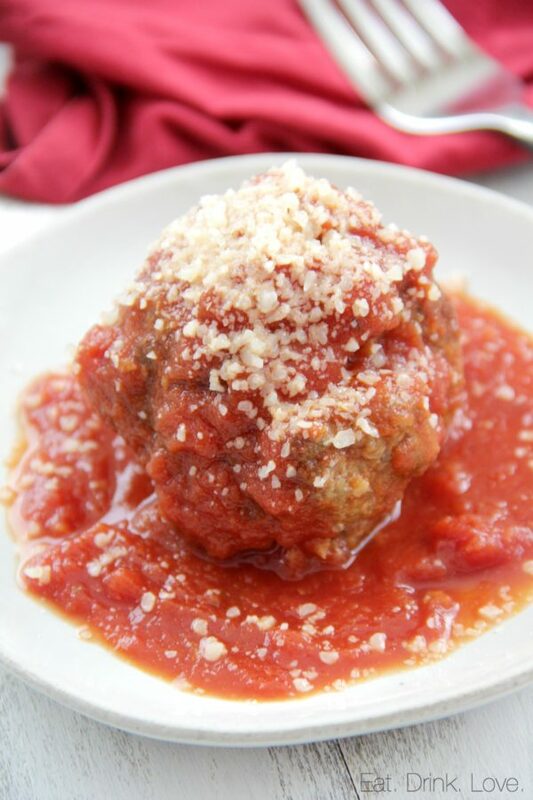 Press a cube of the mozzarella cheese into the center of the meatball and make sure the meat completely covers the cheese. Repeat with remaining meatballs. Heat the olive oil in a non-stick skillet over medium high heat. Arrange the meatballs in the pan in a single layer and brown on all sides, cooking for 1-2 minutes per side, gently flipping with a fork (about 8-10 minutes total). 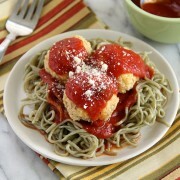 While the meatballs are browning, pour the tomato sauce, crushed tomatoes, and tomato paste into the slow cooker. Then stir in the wine, salt, oregano, thyme, basil, rosemary, and sugar (if using) until mixed. Transfer the browned meatballs to the slow cooker, gently stir in with the sauce until covered. Cover and cook on low for 4 hours or high for 2 hours.